California Design: 1930-1965 feels familiar. 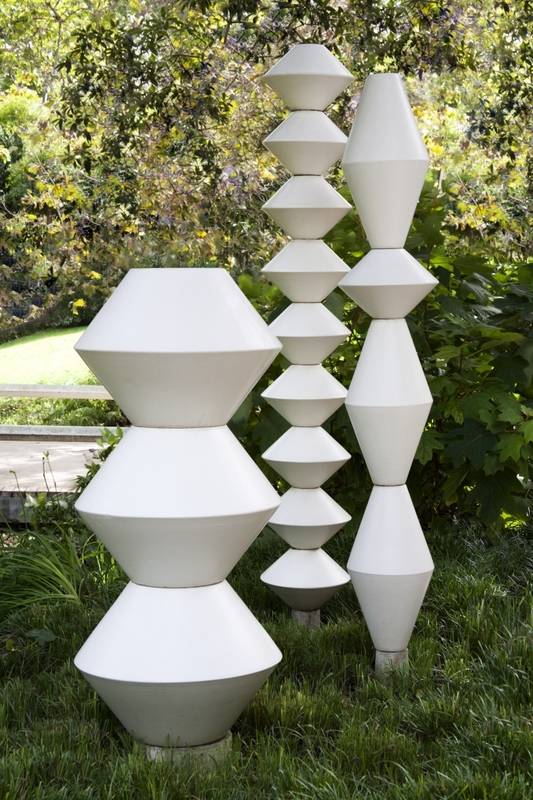 The modern aesthetic pioneered in California in the mid twentieth century and represented with 250 objects in this exhibition, has permeated the globe. The design and innovation that came out of this period is still visible in our lives and homes — in furniture, fashion, ceramics, jewellery, architecture and film. Brisbane audiences will note the synchronicity with the strongly modernist architecture and aesthetic that Karl Langer and other émigré architects brought to Queensland at the same time. 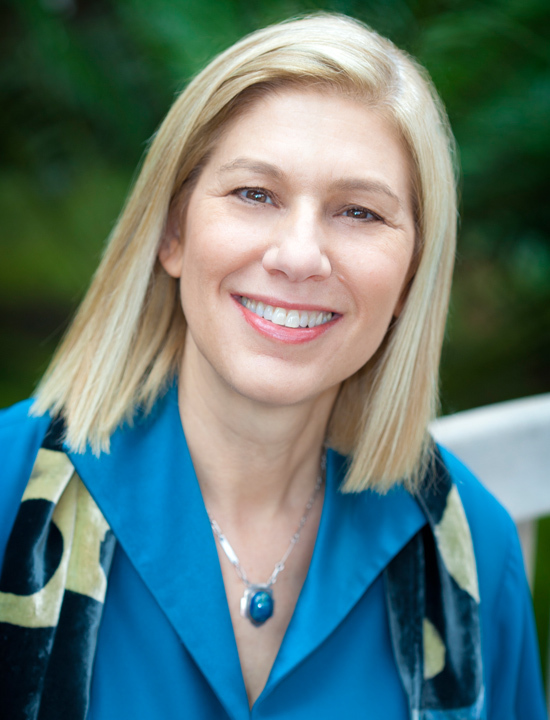 Wendy Kaplan is co-curator of California Design and Department Head and Curator of Decorative Arts and Design, Los Angeles County Museum of Art, source of the exhibition. TUL met with Wendy Kaplan at the exhibition entrance in the Queensland Art Gallery. We sat at a moulded plywood table and matching chairs designed by Charles Eames and Ray Eames (1946-49), overlooking the slick Airstream Clipper Caravan (1936, designed Wally Byam) and the Studebaker Corporation's Avanti car (1961, designed Raymond Loewy). TUL: What does California design offer to a Queensland audience? Wendy Kaplan: An experience shared between Queensland and California is the indoor/outdoor lifestyle. This was promoted by European artists as early as the early 1910s but they didn't have the climate for it, while both California and Australia, particularly Queensland, absolutely have the climate for it. The garden, the pool, the patio may all be an extended living room. When you have these permeable spaces it's liberating, and creates a more casual and open lifestyle, with traditional boundaries of all kinds being broken down. There was a combination of circumstances in California that are parallel to those here. You had a new country, a new land. It was a pretty new society, a society where traditional gender roles weren't as set, traditional hierarchies weren't as set, and where a lot of people arrived with high degrees of education. A great example for us in California and, I think, Australia as well, were European émigrés. There were two waves in California, first in the 1920s and then an incredible outpouring in the 1930s, when people escaping Nazi persecution came. These people had been in the most advanced design schools in the world. The combination of this avant-garde training, the Californian climate and the new opportunities, created a very distinct aesthetic. TUL: It created a style that has influenced the whole world. California really became emblematic of the American dream. 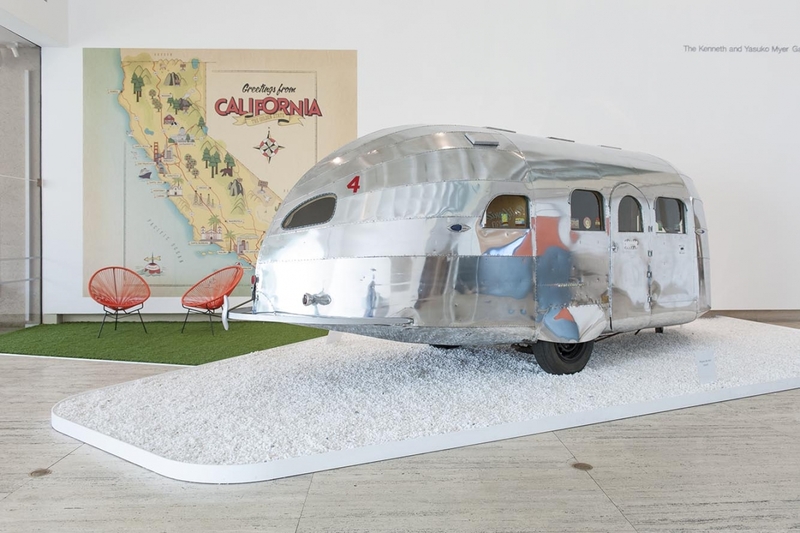 Sitting by the exhibition entrance, the 1936 Airstream Clipper caravan could not be more illustrative of that outdoor lifestyle and the freedom of the open road, of casual living. At the same time it says a lot about the advanced state of technology — this would not have been possible without the rise of California as a sector for aircraft production in the 1930s. TUL: The timing for new design was perfect given access to the materials and the innovation available from World War Two production. 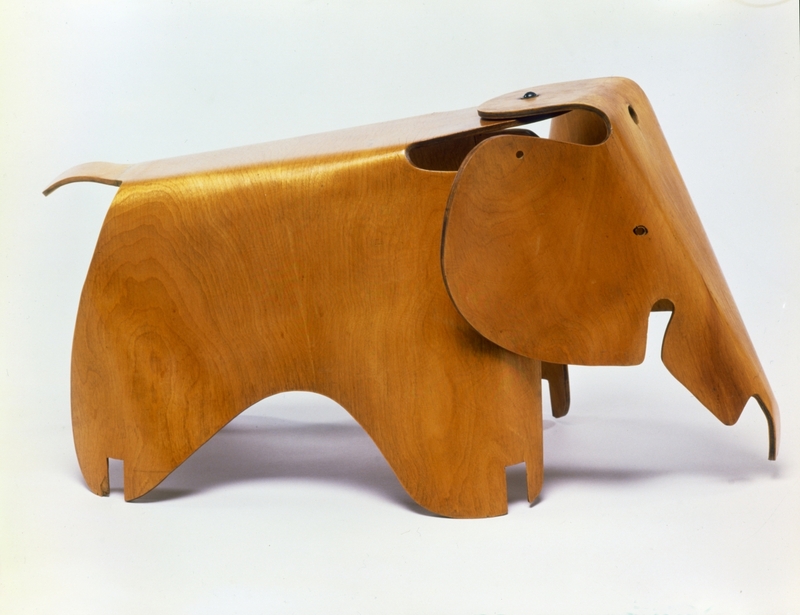 Yes — some materials, like moulded plywood, weren't new, but they were perfected during World War Two and this enabled them to be translated into chair design after the war. The chair we are sitting on was designed in 1946, and it is still made in the millions. Designers Charles and Ray Eames worked in the United States Navy from 1942 and in the exhibition we've included the leg splint that describes how they perfected plywood with compound curves. It was the same for fibreglass. You wouldn't have had surfboards as a hobby without the development of fibreglass because previously they were great heavy hulking wooden things that needed great skill to navigate. The application of fibreglass to surfboards meant that while you still needed skills, anyone that really wanted to could master it. TUL: What are your favourite objects in the exhibition? I love all my children! But I do have many favourites. One is the jewellery of Margaret De Patta. She was an extraordinary designer and her pieces of jewellery are messages of modernism — in their biomorphic forms and cubist forms. We put two pieces in this show, one completely hand-made and one made in a mould. De Patta represented what was known at the time as the designer-craftsman who worked with industry. She was very proud of the fact that her mass-produced pieces were as good as her one-of-a-kind jewels. She wanted her designs to be available to a broad audience. I love that one craftsperson can demonstrate Eames's motto, "Create the best for the most for the least"! TUL: Design also benefited from the times? Absolutely. The Avanti car is a good example, and was designed by great industrial designer Raymond Loewy. He had a house in Palm Springs and when Studebaker Corporation asked him to design a car, he hired recent graduates from the Art Centre School in Los Angeles. In two weeks, working out of Palm Springs, Loewy designed the Avanti. It would have taken months had he been in Detroit. That is a story I could tell time and again. There was a lot of experimentation and ad hoc — the attitude was, "Let's just do it". TUL: What particular message for Queensland comes out of this design exhibition? Be adventurous! Keep designing things, keep making things, come and listen to the touch screen interviews we have with the designers, some octogenarians, who talk about their work in the show. They will inspire people to keep designing things — because you live a lot longer and you stay alert! TUL Note: Louise Martin-Chew is a freelance art writer based in Brisbane. She has spent many evenings in homes in Brisbane's St Lucia that bear a strong resemblance to the modernist interiors in California Design.